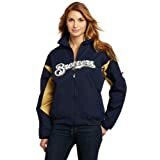 The Milwaukee Brewers are a professional baseball team (MLB) based in Milwaukee, Wisconsin. The Brewers compete in the National League (NL) Central division. The team, obviously, is named for the city's association with the brewing industry. Since 2001, the Brewers have played their home games at Miller Park, which has a seating capacity of 41,900. The Brewers were founded in 1969 as the Seattle Pilots, an expansion team of the American League (AL), in Seattle, Washington. The Pilots played their home games at Sick's Stadium. After only one season, the team relocated to Milwaukee, becoming known as the Brewers and playing their home games at Milwaukee County Stadium. 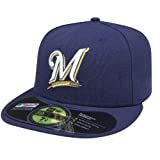 In 1998, the Brewers joined the National League. They are the only franchise to play in four divisions since the advent of divisional play in Major League Baseball in 1969. They are also one of two current MLB franchises to switch leagues in their history, the other one being the Houston Astros. 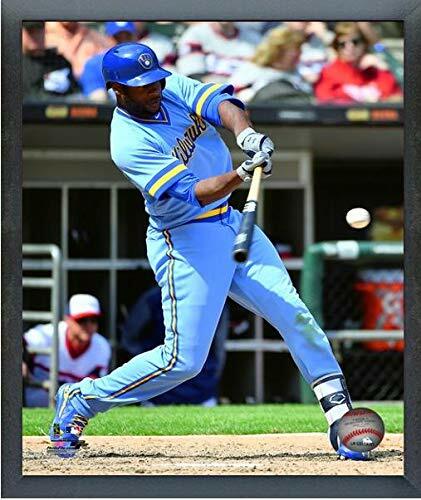 We feature Milwaukee Brewers players of yesterday and today. Here's a link to the complete current roster. 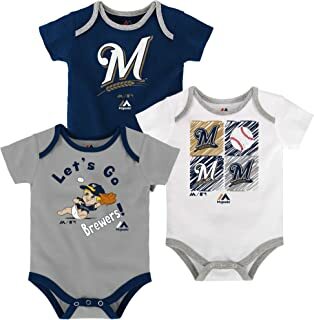 You will find a huge selection of men's and women's Milwaukee Brewers apparel and other Milwaukee Brewers merchandise at Ace's Baseball Store.